Ok, the worst has happened – a rock strike has blemished your beloved Tesla! Not all is lost. Like most car companies Tesla offers a small bottle of touch up paint. The difficulty with touch up paint is it often looks worse when done! Filling in that chip usually leaves a bump of paint around the chip that stands out like a sore thumb. Of course you can use a professional paint process where they strip down the paint in the area and blend in new paint. This is costly and if not blended perfectly, can also look bad. For large chips (> .25”) this may be the only viable solution. Another alternative is Dr. Color Chip. I discovered the product when I had a few chips on my prior car. It works surprisingly well. While not perfect, most dings are hard to see once the process is complete, and it’s fairly easy to apply without making it worse. You first dab the color matched paint on the ding, just like touch up paint. You then immediately smear the paint across the ding using the included glove. You let it sit for about a minute and then wipe the excess paint off with a blending solution. Lastly, after a few minutes, you buff the area by hand with a microfiber towel. The entire process takes less than 5 minutes and you can do many chips at the same time. Photos are really hard to judge the results, but the first photo is before fixing. The left rock strike goes all the way to the aluminum. The right side doesn’t go into the aluminum, but is 4 very close strikes – right where you press to close the frunk. The second photo is after the process is complete. I tried to take the photo at angle where you can still barely see the hits. In reality, from a few feet away, you don’t notice it at all. The system works well for chips and rash that goes into the paint. 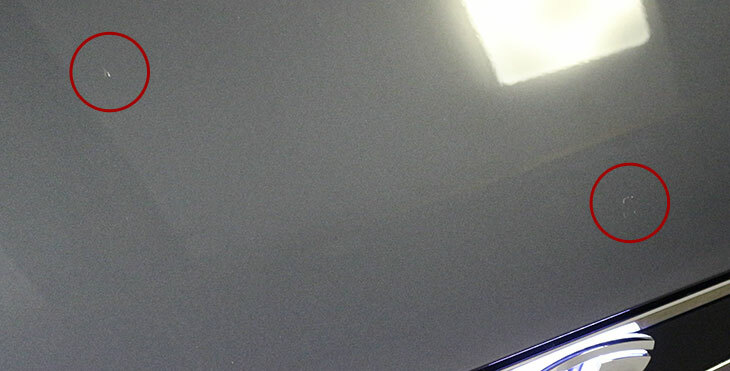 If only the clearcoat layer is scratched, you may need to buff the scratch out. No touch up paint will fix clear coat issues that I’m aware of. When ordering a Dr. Color Chip kit, you have to specify the paint code. This code appears on the white label in the driver’s door jam, at the bottom of the label. 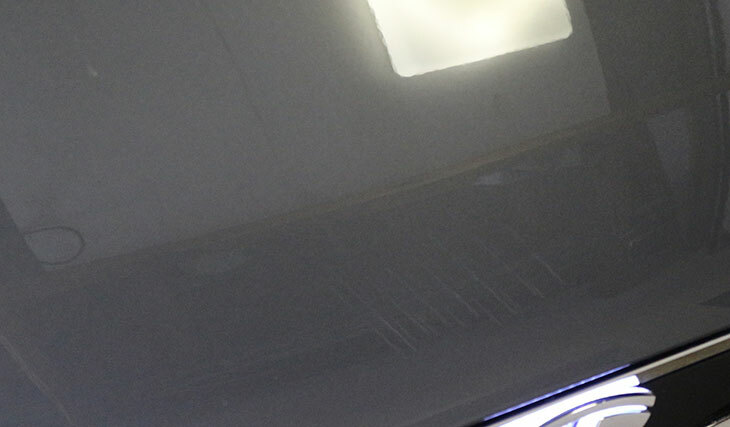 We’ve listed all the paint codes Tesla has ever offered for the Model S and X below. 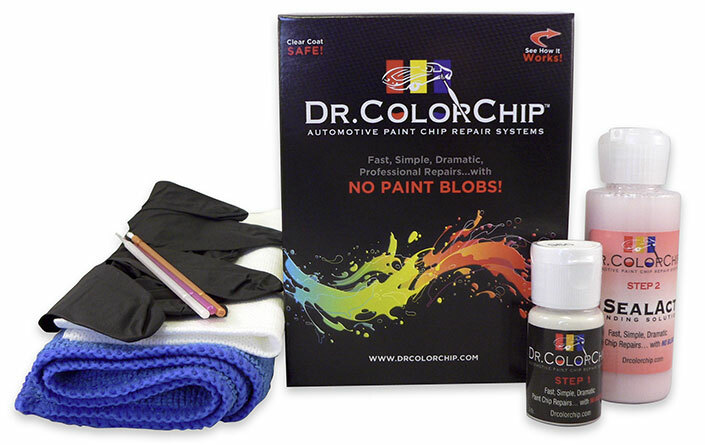 Dr Color Chip has four kits, depending on what’s included and the number of chips you need to fix. Cost ranges from $40-$65. The Dr Color Chip site has more photos and a video demo and you can order the product direct from the company.